Well hello my lovelies. I can’t quite believe it’s already April but at least it’s officially spring! 🙂 We’ve been quite fortunate this year to have some decent weather and it’s been lovely to actually transition into a new season for a change. 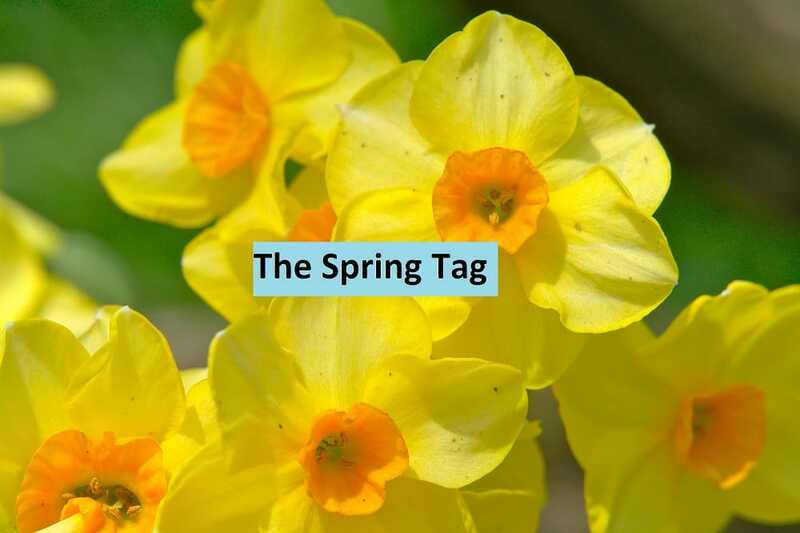 As it’s been a while since I’ve actually done a tag post, I thought it would be appropriate to start the new month off with The Spring Tag! 1. What’s your favourite nail colours for Spring? I adore pastel nails in the spring but I also never neglect my favourite dark blue nail polishes of which I’ve accumulated quite a few of! 2. Best drink for Spring? For a soft drink I really like the M&S Peach, Camomile and Green Tea drink and my cheeky tipple of choice lately has been Disaronno and Cranberry Juice. 3. What goes on your lips in Spring? I like nudes and pale pink lipsticks in spring, but I’m also partial to wearing lipgloss on occasion. 4. What’s your favourite thing about Spring? 5. Best perfume for Spring? I don’t really switch up perfumes for different seasons. I always stick to my favourite, Chanel Chance Eau Tendre or Vera Wang Princess. 6. What TV series are you watching the most at the moment? GAME OF THRONES. Most of the ones I had been watching are coming to the end of their season such as New Girl, The Big Bang Theory and How I Met Your Mother. I’m also eagerly waiting for the new season of Mad Men and True Blood! 7. Do you wear a different colour eye shadow in Spring? Same as question 5, I don’t tend to change my eyeshadow colours for spring. I’m happy to wear gold/bronze colours all year round, but I have seen people sporting some stunning neon eyeshadow lately which looks amazing! 8. Do you change your hair for the changing season? 9. What kind of music do you listen do in Spring? I like all types of music really, but lately I’ve been quite into Calvin Harris, Bastille, Zedd and David Guetta. 10. What kind of fashion items/accessories do you opt for in Spring? I’ve got my eye on some lovely statement necklaces but as I’m still on my 100 Day Spending Ban until the 12th May I won’t be buying them anytime soon. 🙁 Other than that I keep everything minimal with just a watch and either a necklace or a pair of earrings. Oh and I always wear a light scarf just in case! And those are my answers to The Spring Tag! Thanks again Georgina who blogs at Makeup-Pixi3 for a great tag post. 🙂 Let me know if you do the tag post and don’t forget to tag Georgina as the creator!